The Miami-Dade Public Library System is trying to find a way to stay relevant in the digital age. It’s getting a bit of help from the John S. and James L. Knight Foundation, which recently awarded it a $35,000 grant to prototype a co-working space. Co-working spaces, workplaces shared by freelancers, entrepreneurs, and other independent professionals, have grown in popularity in recent years, as the workforce increasingly telecommutes and turns over from job to job. Gia Arbogast, interim director of the Miami-Dade Public Library System, said the co-working space is just one among a range of new services the library is exploring to adapt to the digital age. “Referencing, co-working spaces, business incubators, maker spaces, creation labs, more YouMedia Miami projects… those are absolutely things that are on the horizon for us,” said Arbogast. YouMedia is an afterschool program that teaches teens how to use technology. Marilu Kernan, a library patron and investor in early childhood education companies, said she’d like to bring a program that teaches middle schoolers to code to the library. She herself learned to code through a privately run crash course last summer and thinks that more young people need to learn the skill. But, she said, “People don’t have that kind of time, and they don’t have that kind of money.” An after-school program at a library, by contrast, would make learning code both affordable and accessible. Arbogast and Kernan were both attending an event hosted by the Knight Foundation at Miami-Dade College on Monday night. The event, Rethinking Libraries in the Digital Age, focused on why libraries are still relevant in the digital age and how they can evolve to reflect the digital landscape. 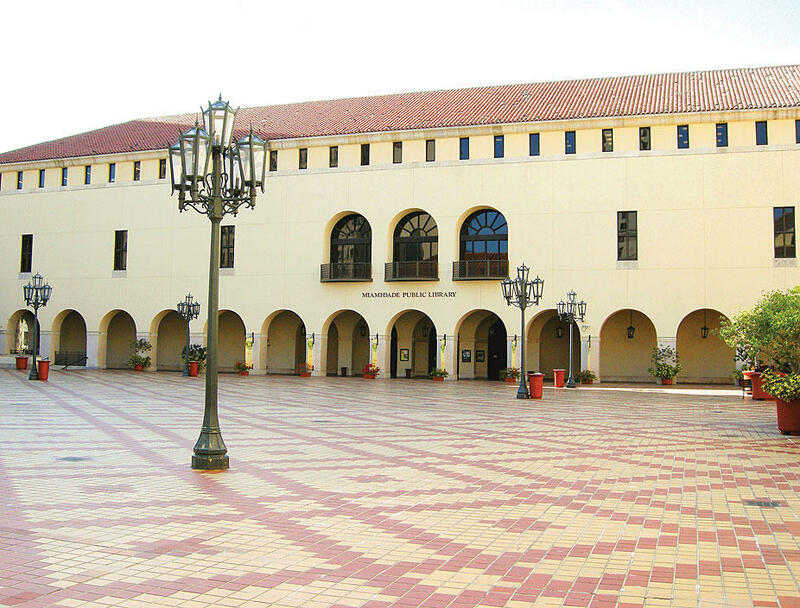 The Miami-Dade County commission voted eight-to-four to approve a $54 million budget for the county's public libraries Thursday night. Terry Murphy, board member with Friends of the Library, says it was an 81-percent increase from what Mayor Carlos Gimenez first proposed in July. "This is a real symbolic victory that says when the community speaks out and says what the priorities are, the county commission listens," he said. "This was a tremendous victory for the people of Dade County tonight." In the minutes of last Tuesday’s meeting of the Miami-Dade Commission, it reads, “In libraries, these adjustments will result in the reduction of hours of service and closure of 10 storefronts and up to 12 other libraries.” Meaning, to avoid increases in property taxes, the commission proposes to eliminate 22 of its 49 public library branches. Over the past few months, we've been covering the efforts of Miami-Dade library supporters to keep libraries fully funded. Advocates say libraries are more than just books -- they're major learning centers. One popular library program is YouMedia Miami where teenagers learn about technologies like coding, graphic design and music production.